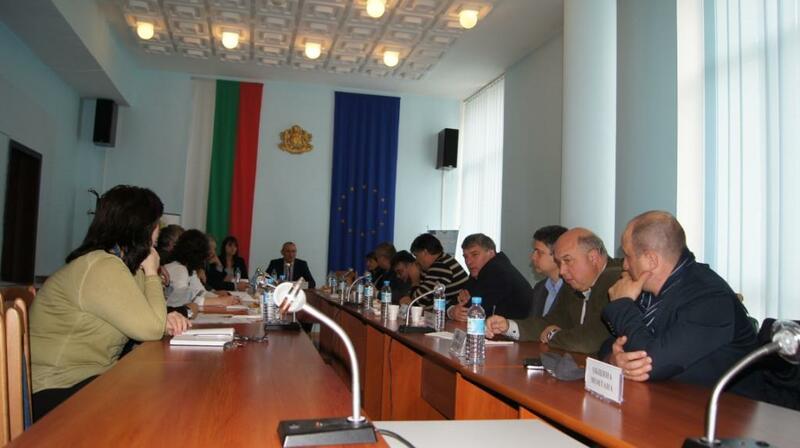 First regular meeting for 2015 of the Water supply and sewerage association of the territory, serviced by “Water supply and sewerage” ltd. of Montana was led on 27.02.2015 in conference room №1 of Montana Regional administration. The event was opened by the chairperson of the association and Regional governor of Montana Mr. Ivaylo Petrov. Deputy Regional governor Mrs. Nina Petkova also participated together with the municipal mayors of Boychinovtsy, Valchedram, Varshets, Georgy Damyanovo, Lom, Medkovets, Montana, Chiprovtsy and Iakimovo. The report for the association’s activity in 2014 was adopted with an absolute majority together with the budget implementation for the year. Association’s budget for 2015 was also adopted with an absolute majority. On the last item of the agenda members of the association unanimously took a decision to enter into an agreement with “Water supply and sewerage” ltd. of Montana for taking care and exploitation of the water supply and sewer systems and equipment on the specified territory.